Today me and the little guy went to a playgroup at the Swedish church in Oslo. 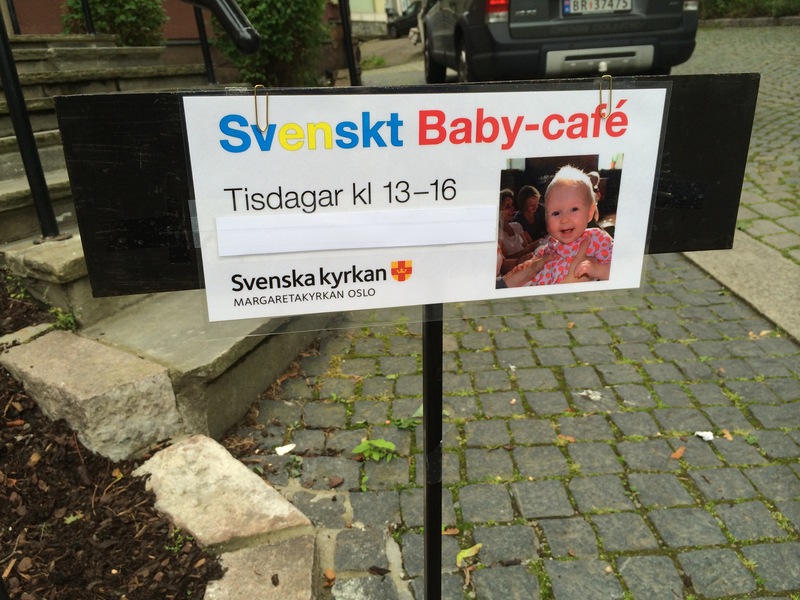 It goes every week on Tuesdays and Thursdays from 13:00-16:00 at Margaretakyrkan Oslo. At the playgroup, it is pretty flexible for the first 30 minutes – when people are arriving. The babies are playing around, the parents are sitting with them, and it’s full of energy, just like the playgroups I have gone to many times in Hong Kong. Then, at 13:30, the door closes, and it’s time to sing! And sure enough, the songs that I have heard my wife singing, but always suspected were not real, were sung by everyone. The weird part to me was that this went on for 30 minutes, and the majority of the perfect Swedish babies of all ages just sat there mesmerized by the singing. After the singing, it meant that 1 hour had gone by since the start of the playgroup. 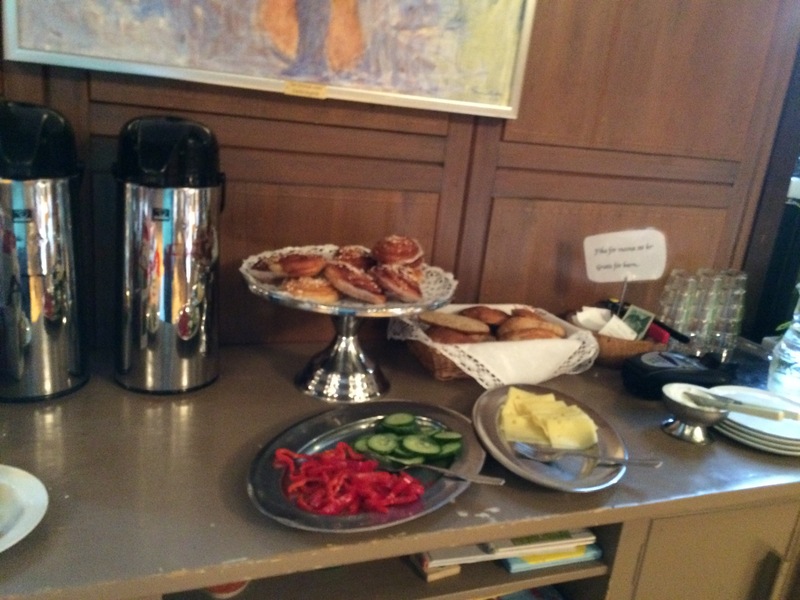 If you know Swedes, you know this means it is time for a Fika! Get out the cinnamon rolls, peppers/cheese//cucumbers/bread for sandwiches, and coffee, it’s time for a break! So, off the parents went to get their snack and socialize. Meanwhile I realized it was neither time for me eat anything, nor for the little guy to snack, so we kept playing – after all, going to this was so he could get some exercise. During the fika (about 1 hour), some of the babies couldn’t stand sitting in the baby chairs for any longer, and they were released to the floor to play. This meant that eventually around me and the little guy was a circle if stray children, possibly wondering why it was that I, an adult, was not sitting with the adults drinking coffee and taking about news, but instead was on the floor pulling a Brio duck (and also an awesome Brio turtle, too). All-in-all I would probably recommend this playgroup to those who live in Oslo, or those who speak Swedish and are visiting. But for us who are used to a little more open and welcoming playgroups that they have in Hong Kong, also looking for a more international approach, was not the perfect fit. It was a good experience nonetheless! ← Day 163: A Reading Baby?